The Chicago "L" system is a unification of lines built and formerly operated by competing companies. The companies were fully unified in 1924, though the operations of the previous companies were maintained as divisions of the united unit. In 1947, the system went public and underwent many changes before taking on its present form. Look inside these main categories for construction history, a description of each transit line line, future plans, and more. The History and Chronologies section is currently undergoing major renovations. We are working to provide expanded and more complete historical narratives, better graphics, and links to related material elsewhere on the site. The post-World War II history of the elevated has been updated and the chronologies have been modified. The prewar histories will be expanded in the near future. 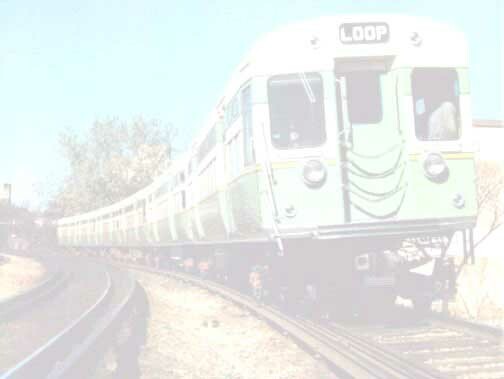 The North Shore Line and the "L"
The chronologies present the history of the "L" in a simple date-by-date fashion, broken down between the four original operating elevated companies, the Chicago Rapid Transit, and the Chicago Transit Authority. The major events and changes in the system's history are listed in chronological order, with brief descriptions.